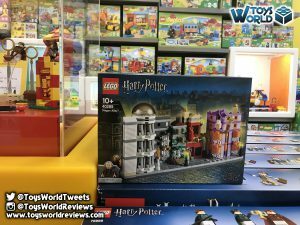 A (so far) unannounced LEGO Harry Potter, microscale set has been sighted in a LEGO Store in Slovenia. The Diagon Alley  microscale set, comes features a paired down micro version of Diagon Alley; the magical shopping district featured in the Harry Potter books and movies. 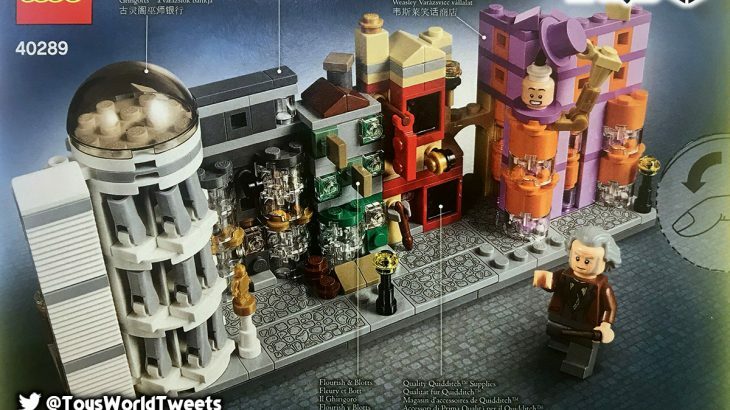 Gringotts Bank, Ollivander’s, Weasley’s Wizard Wheezes, Flourish & Blotts and Quality Quidditch Supplies are all featured, and the set also comes with an Ollivander Minifigure. The exact release date is not yet known, but ToysWorld expect it to be released sometime in September / October. 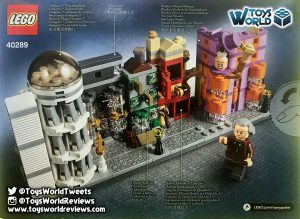 News & Features Diagon Alley, Harry Potter, LEGO, LEGO Harry Potter, Microscale, Ollivander. permalink.